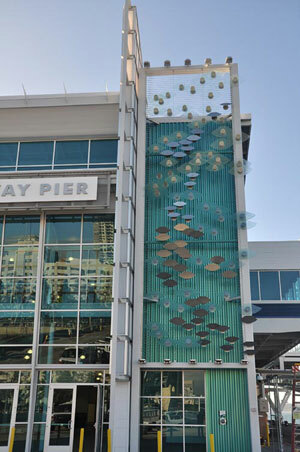 Tidal Radiance, a new large-scale interactive sculpture by light artist and designer Leni Schwendinger, created for the new Port Pavilion on the pier along San Diego’s waterfront, is designed to be seen both by boaters on the water and strollers moving along the Embarcadero promenade. 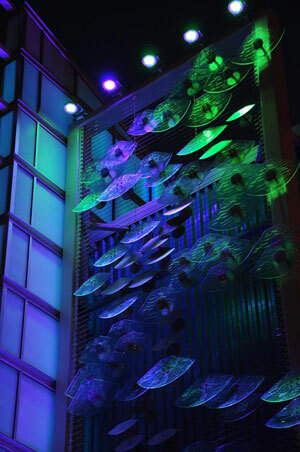 At night, this installation will be hard to miss given its lighting is programmed to follow the lunar cycle, while also changing for seasonal compositions, including whale watching and cruise season. Indeed, Schwendinger, who has done major projects for the New York Port Authority, and is working on redesigning the lighting for a new pedestrian-friendly Times Square (see earlier post), has long used “controlled changeability” to powerful effect. 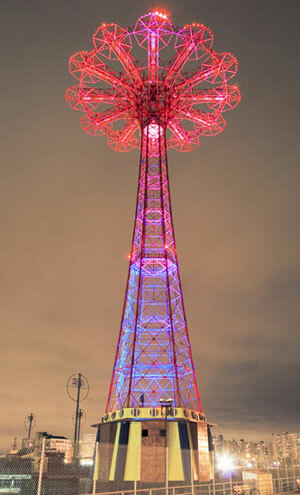 Her work on the Coney Island Parachute Jump, “Brooklyn’s Eiffel Tower,” transformed a theme-park landmark into a shifting beacon of light, reflecting seasons, holidays, and, again, the moon’s cycle. 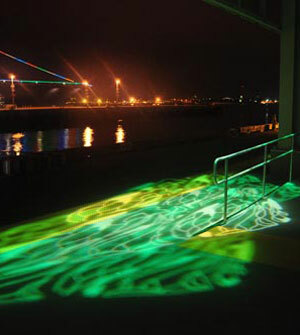 Read an interview with Schwendinger and check out her blog, which covers her “NightSeeing Lightwalks,” or guided evening tours of lighting, in various cities. It is my hope that ASLA conference attendees will visit this project during the San Diego convocation!